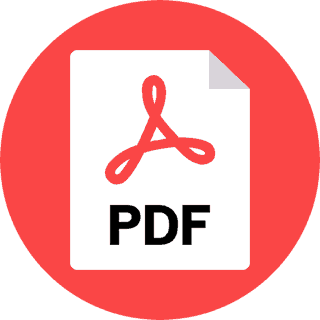 In this post, we will discuss how we can resolve the managed metadata services error. In one of our SharePoint site, We noticed one error due to that error you won’t be able to edit any of the taxonomy fields used in the List Forms. Please refer to the below screen shot for your reference. Please follow the below steps for the quick fix for the same issue. 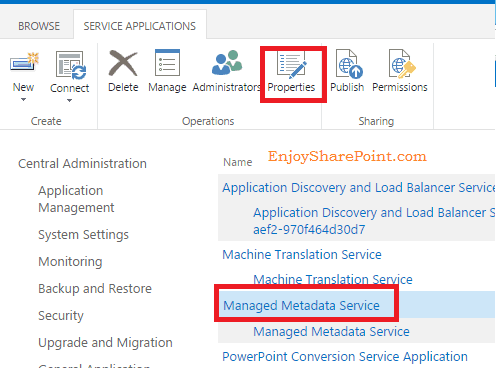 Open SharePoint 2013 central administration and then select “Manage service applications”. Note: Please open the “Central Administration” site as “Run as administrator” mode. 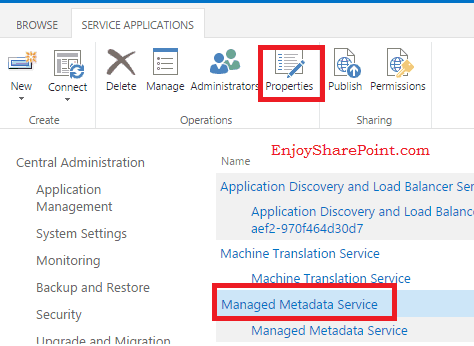 Please make sure you are able to see the status of the “Managed Meta data service” and “Managed Meta data service connection” as “Started” only. Now please select the “Manage Metadata Service”. No need to click the same link just select and click on the “Properties”. Now the below window will open. Now note down the “Database Name”. In our case, the name is “ManagedMetadataService”. Now please change the “Database Name” from “ManagedMetadataService” to “ManagedMetadataService1” and click on “OK”. Now please select the “Manage Metadata Service” again. No need to click the same link just select and click on the “Properties”. Now change the “Database Name” again from “ManagedMetadataService1” to “ManagedMetadataService” and click on “OK”. Now you can able see all the values in the Taxonomy fields. Now login to the SharePoint site and try to create the list items, you should able to do this without any issues.